St. Cloud, Minn. (July 18, 2018) – Add custom style and easy-grabbing ergonomics with the new Black Cat Rear Bumper from Arctic Cat. It features flush-mount, powder-coated aluminum side plates integrated with a tubular handle that’s easy to grab. 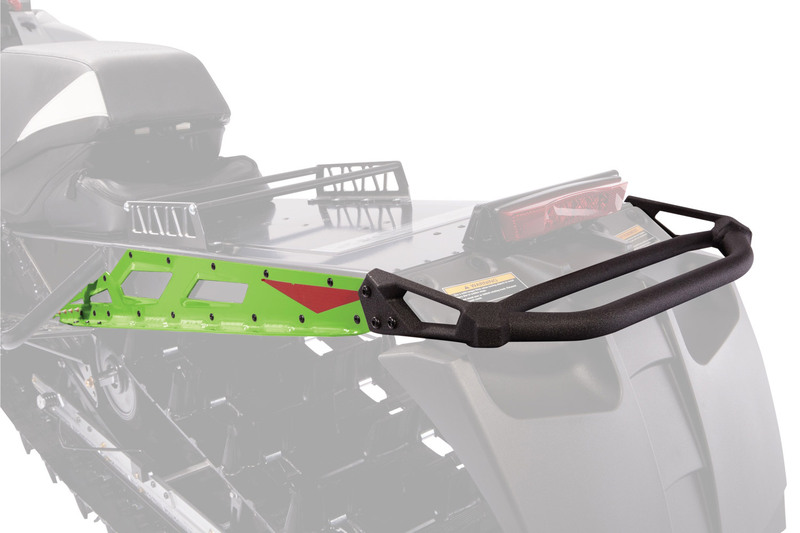 Works with stock or Black Cats running boards on most 2012-newer Arctic Cat snowmobiles with 153-inch or longer tracks, as well as select 141-inch models. Weight is 4.5 pounds for 153-inch models and 5.2 pounds for 162-inch models. Available in Black, Medium Green, Gray, Orange and Purple. The MSRP starts at $205.95 U.S./$278.95 Canada depending on model.